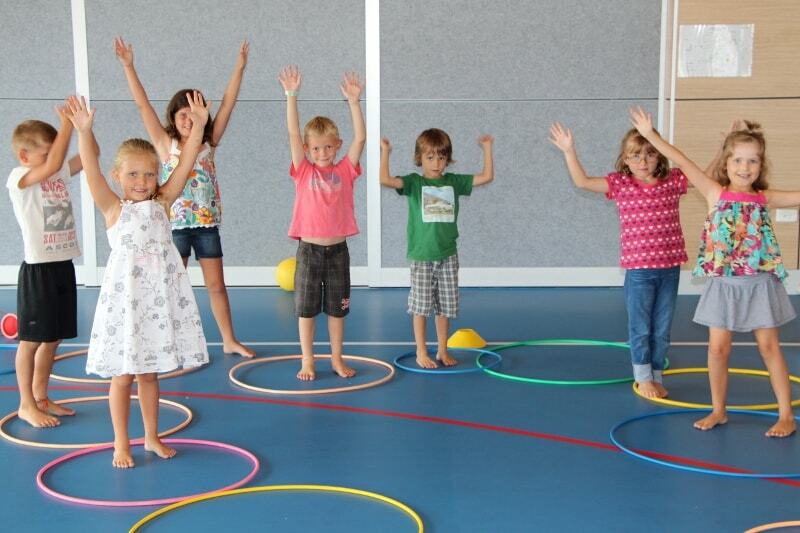 KidzKlub Australia are the complete kid’s party planners! 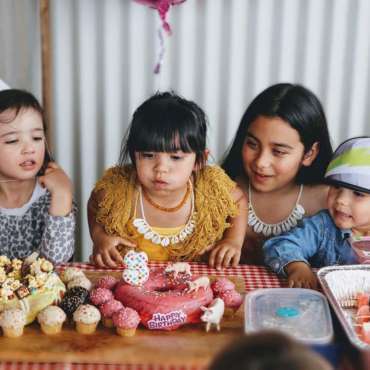 Stress free for parents and super exciting for kids, our huge range of kid’s birthday party options guarantee a fabulous experience for all involved. We can organise everything and host the party for you, from start to finish including present opening, cake cutting and meal times. 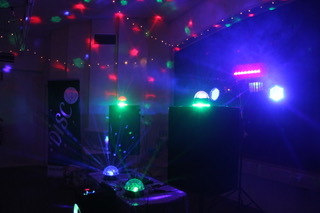 Our team can come to you or we’ll happily arrange an alternative party venue. 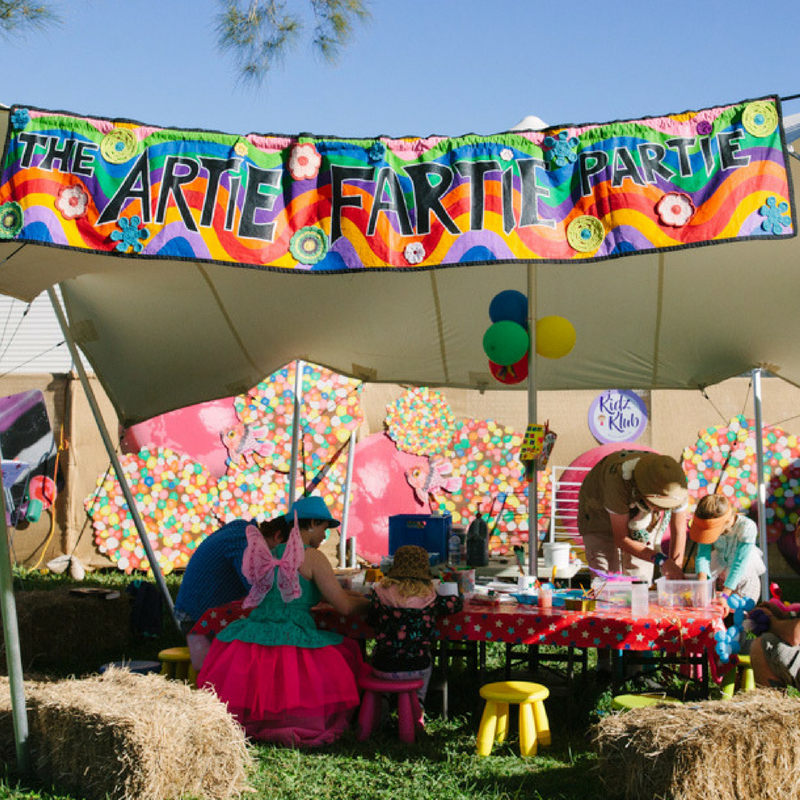 Artie Fartie Partie is a beautifully decorated space, with bunting, balloons, loads of colour and tonnes of fun crafty experiences to be had. 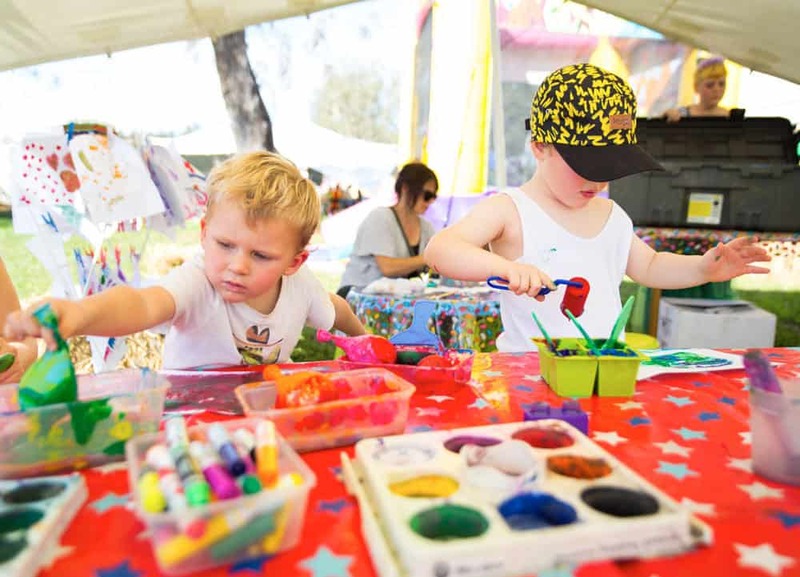 For the OLDER art loving kids we can do an awesome structured Art Workshop. 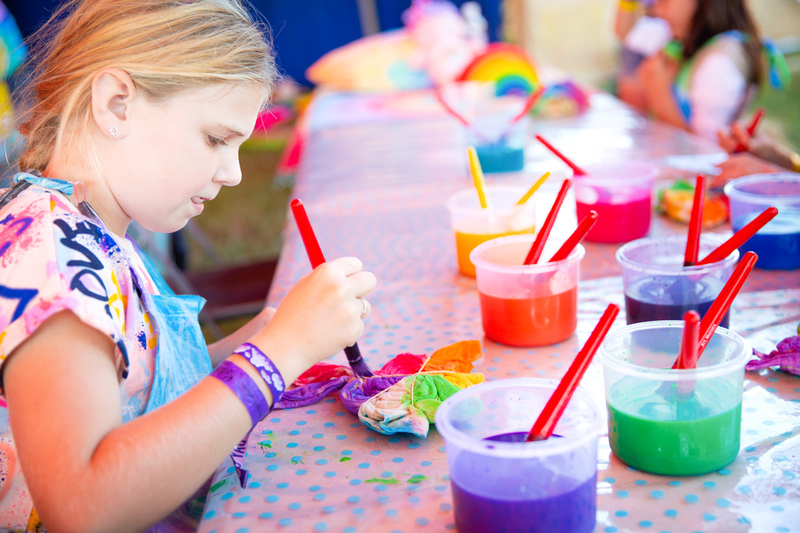 Work with Clay, make a flower garland, tie dye a tshirt or paint a pot. 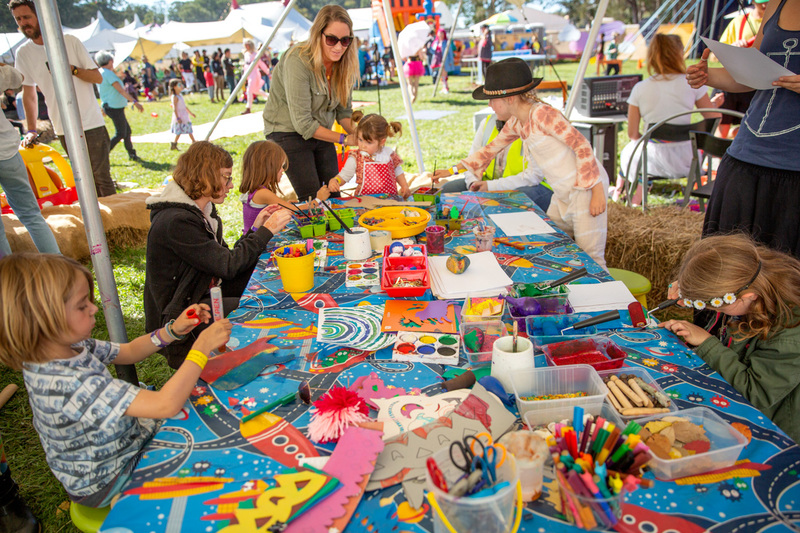 See our Arts and Crafts Zone page for more ideas or come up with your own idea and we will make crafty magic happen! 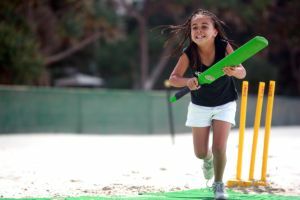 Some kids are super sporty and most love to play games. It is with this in mind that we have developed our Active Party. 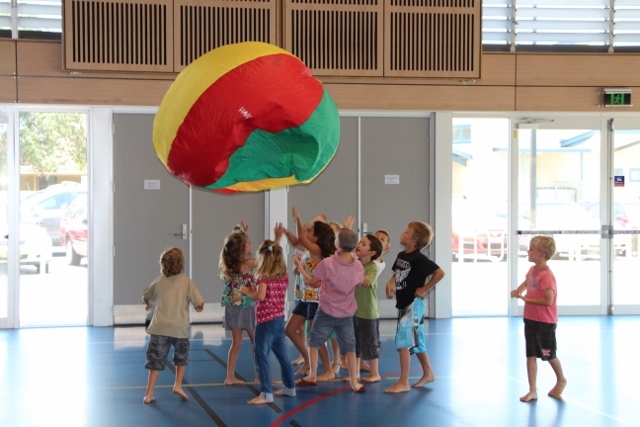 We incorporate fitness, skill and fun through the use of our exciting equipment. 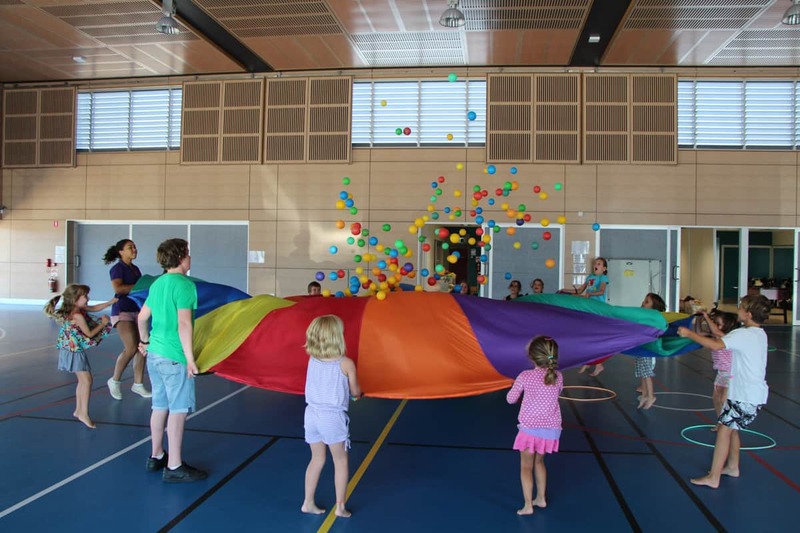 Tug of war, poison ball, jumping sack races, parachute games, hoop hop, 3 legged races, sack soccer , dodgeball, egg and spoon races and relay races…two hours of action packed fun. If it is dancing you love then this is the party for you! Bop to you drop in you own backyard or garage. 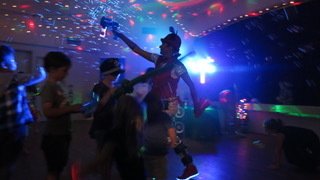 All ages will love to boogie and play the dance games. 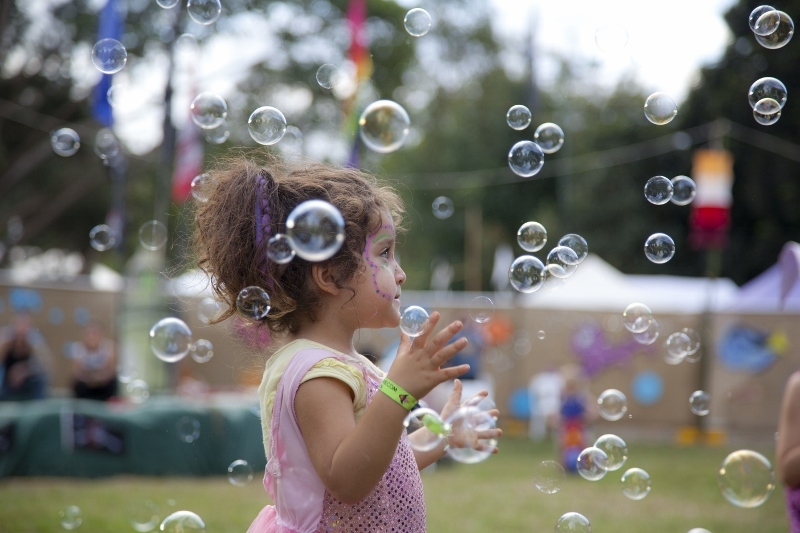 We have laser lights, fog machines and bubbles galore. We could even bring the dressups! DIY Parties can also be fun. 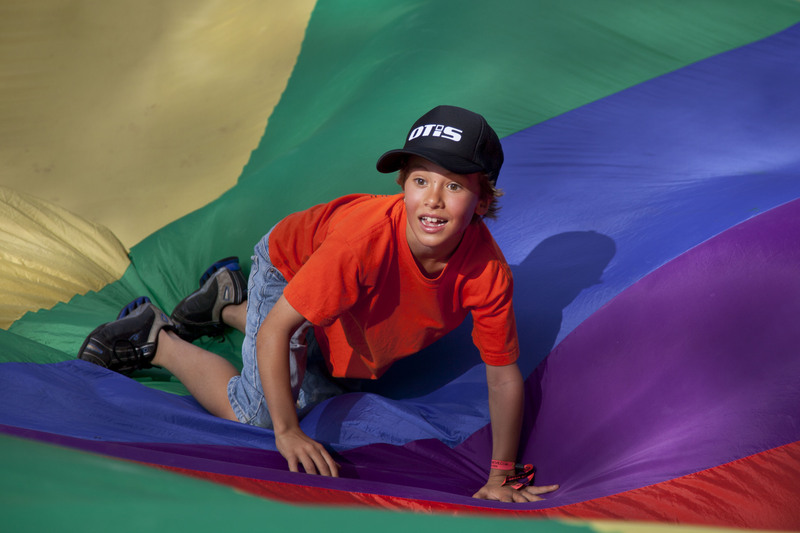 You can hire it all from us here at Kidzklub. 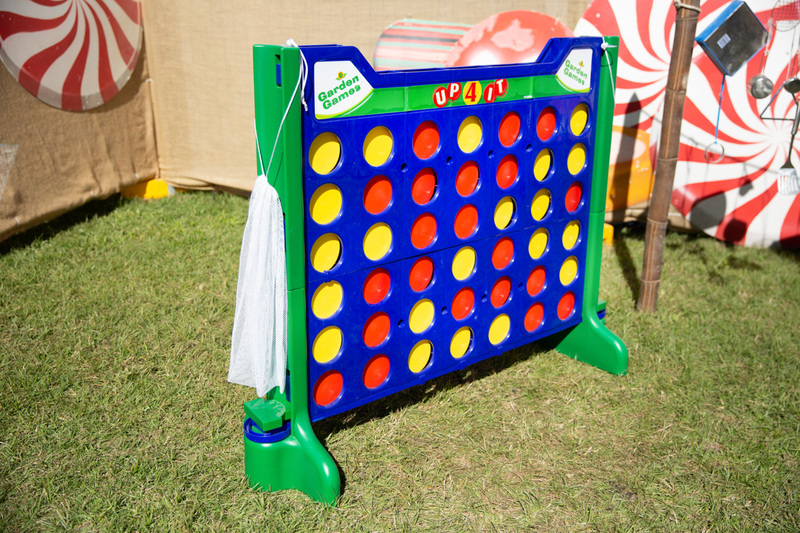 Games, equipment, furniture and décor. 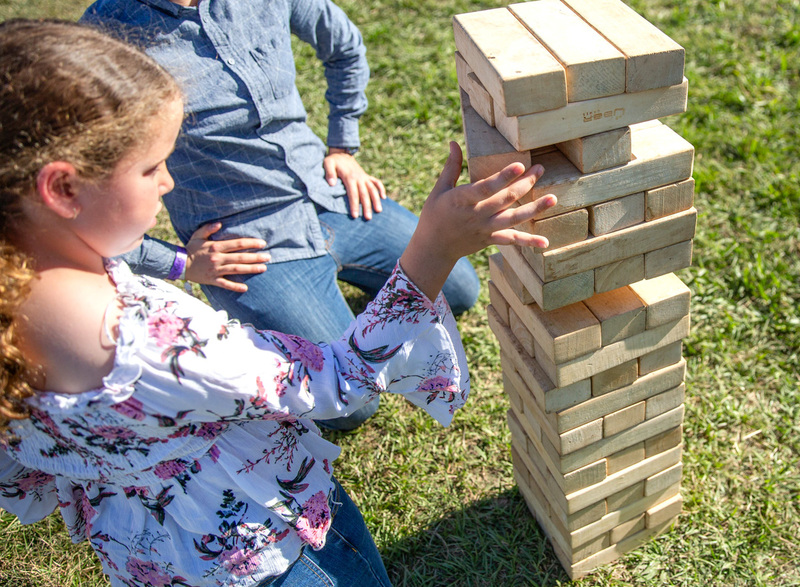 You can hire the games and equipment with or without a supervisor. If you choose to have a supervisor he/she will keep the activities tidy, encourage participation and play along if needed. 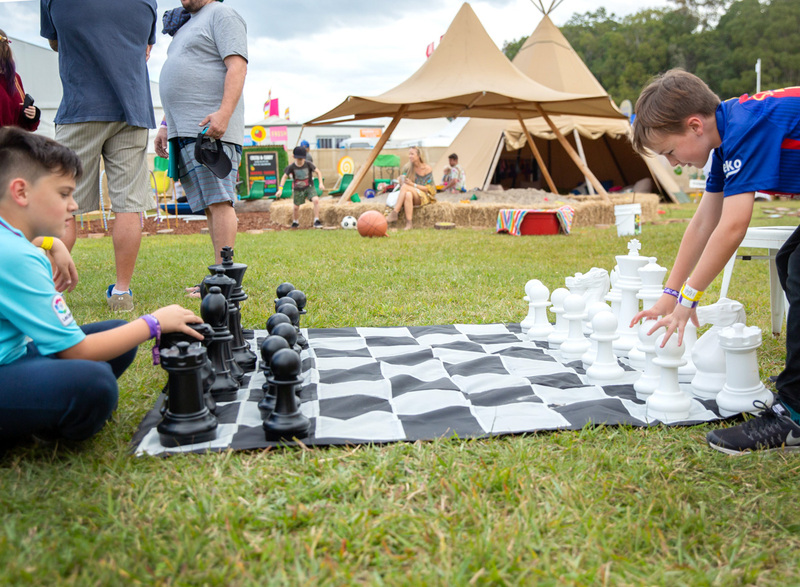 Giant Connect Four, Giant Chess, Giant Jenga, Giant Snakes & Ladders, Giant Naughts and Crosses and much more….Contact us for a complete price list. 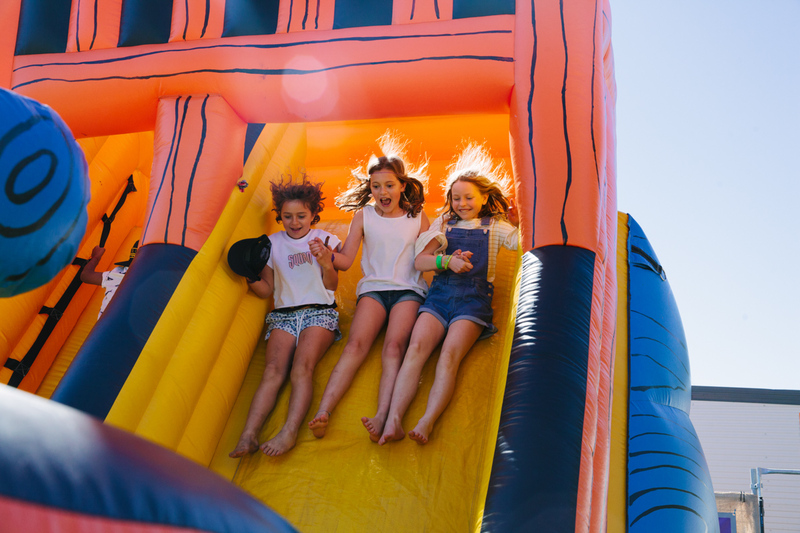 You can choose a combination of activities from the above and design a party to suit all types of children and their interests. 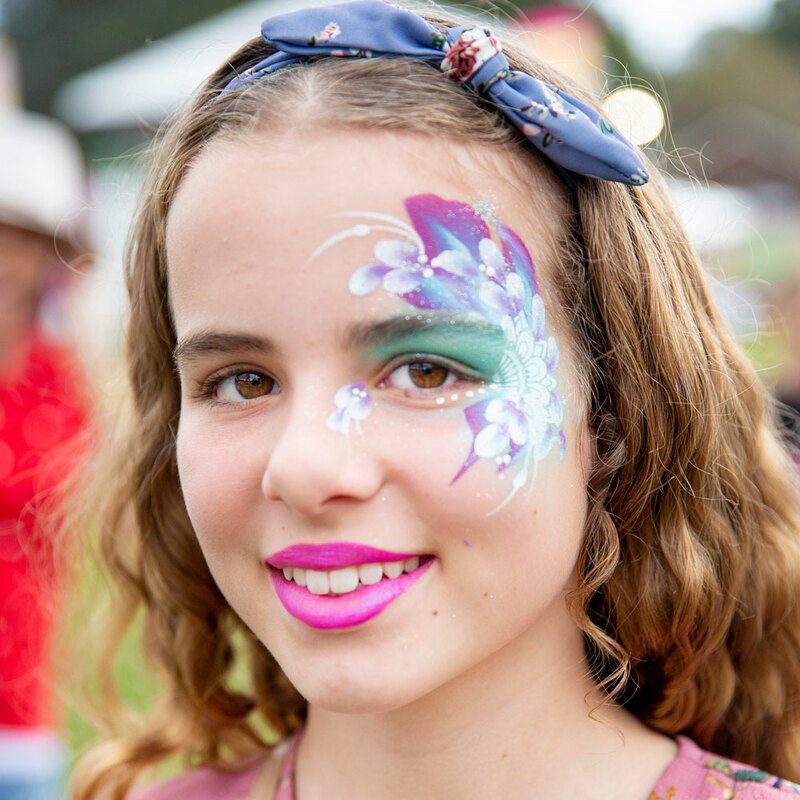 Have an element of craft, some active games and some giant games and you may also like to add in your choice of extra entertainment like face painting, jumping castles, magic clowns, bubble technician, drumming workshop or other entertainers. We will cater to your needs and budget. 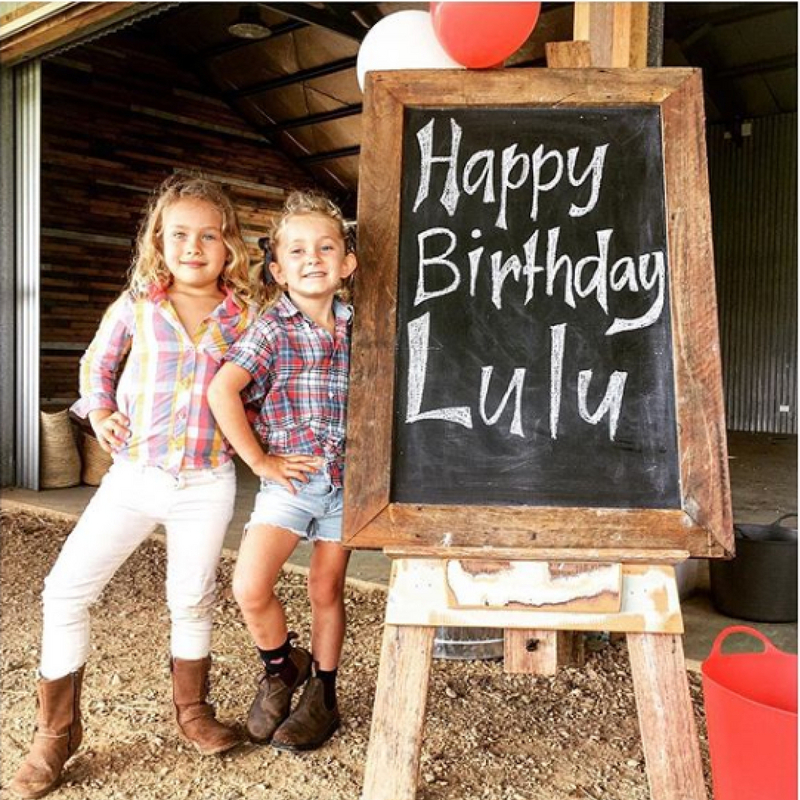 Kids will love their Birthday party at The Farm Byron Bay. 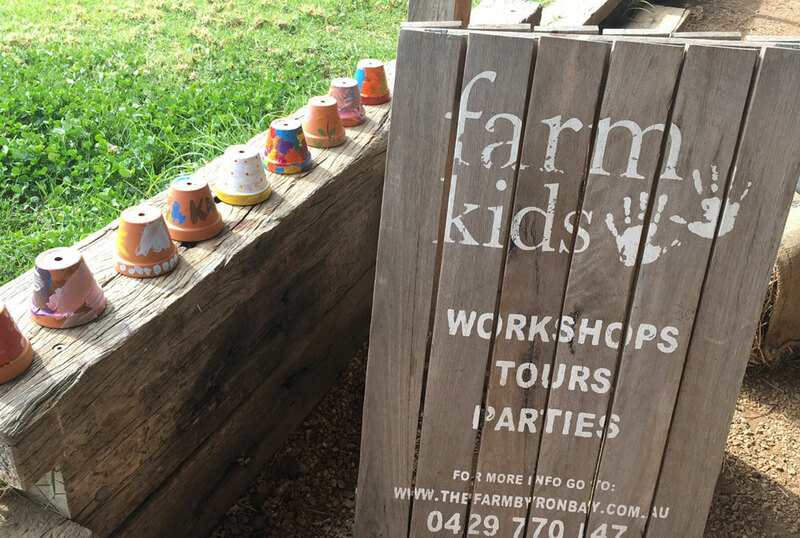 At The Farm we encourage kids to enjoy and learn from the surroundings of a real working farm. 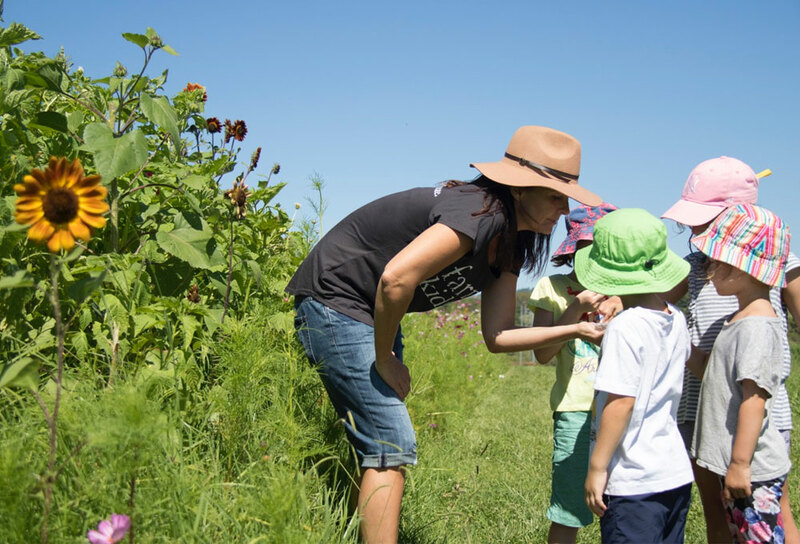 Farm Kids inspires and educates children about where food comes from and introduces them to concepts like the importance of pollination, organic farming, crops, healthy soil, composting and other ethical farming practices. 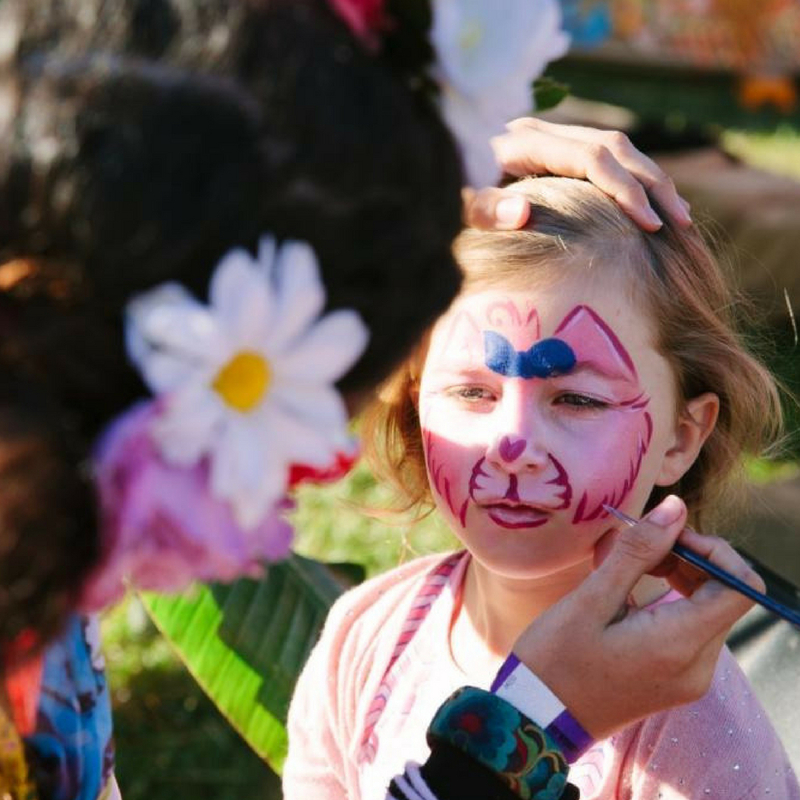 Children can meet up close our pigs and watch them in their natural surroundings and be amongst our chickens whilst enjoying some of the best things in life, sunshine and fresh air. 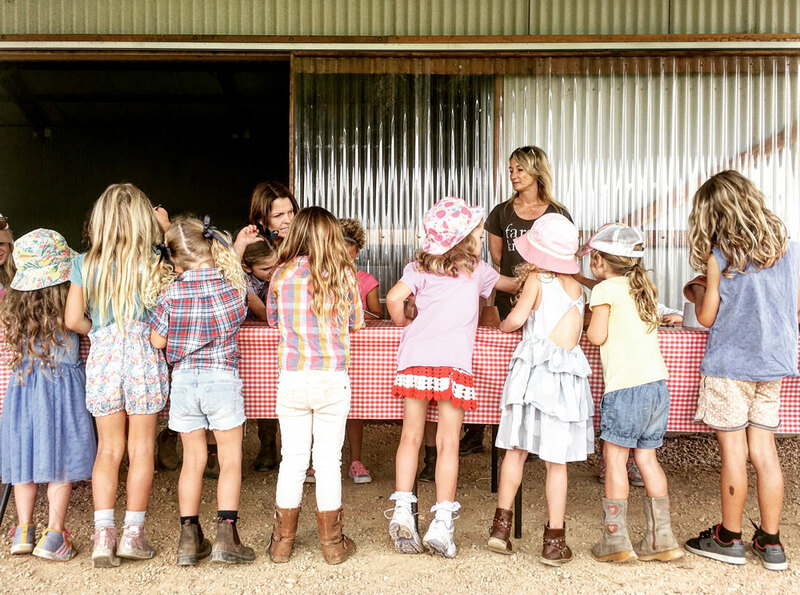 Full Farm Kids tour, Lolly hunt in the orchard, Farm themed craft activity to take home, Decorated table set up in the stable area. It’s a jam-packed 2 hours of fun and learning! 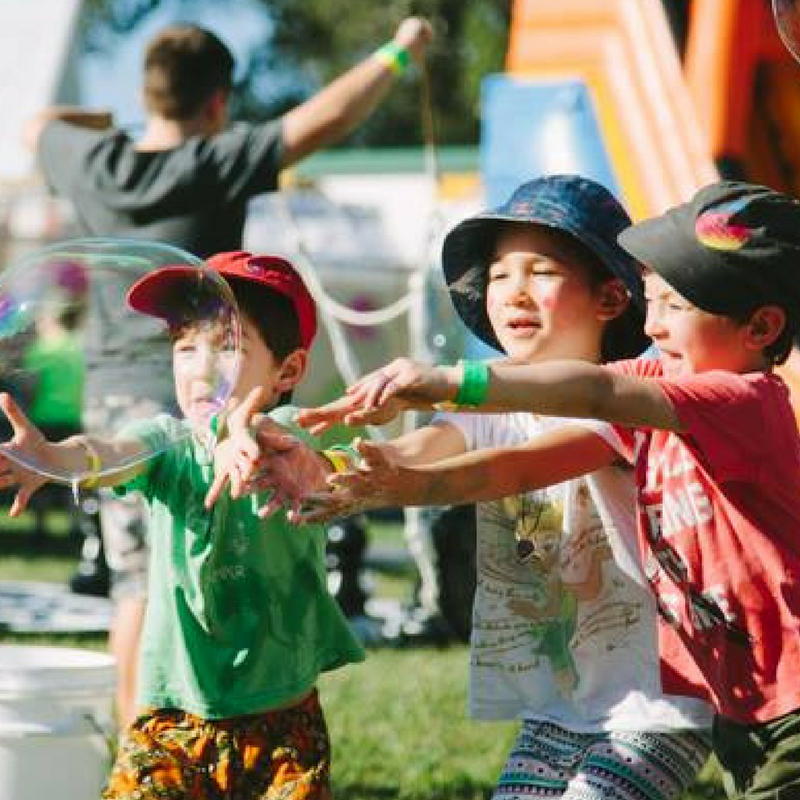 If you think you are the best Byron Bay Children’s Party planner and want to do it yourself and you want a few extras to make it super exciting we can hire out our equipment, furniture, bubble machines, giant games, jumping sacks, flags….the list of things we hire is endless. Contact us for a price list. 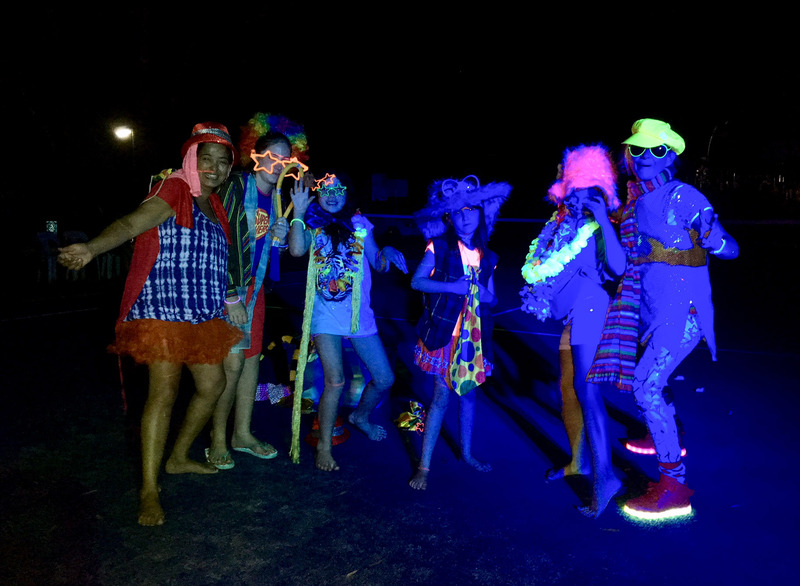 We are the Party Experts! 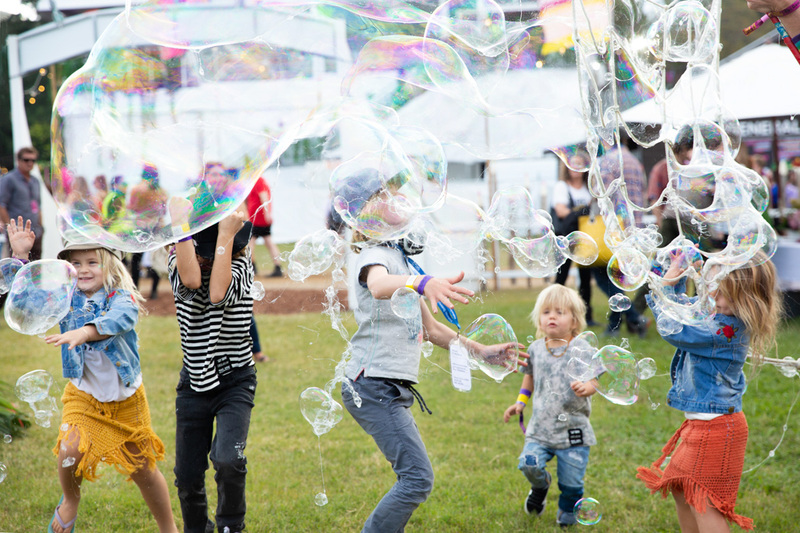 So don’t forget we can also take care of the children at your next adult party, Christmas Party, wedding or provide corporate event childcare with an onsite creche at your large business event or corporate party. 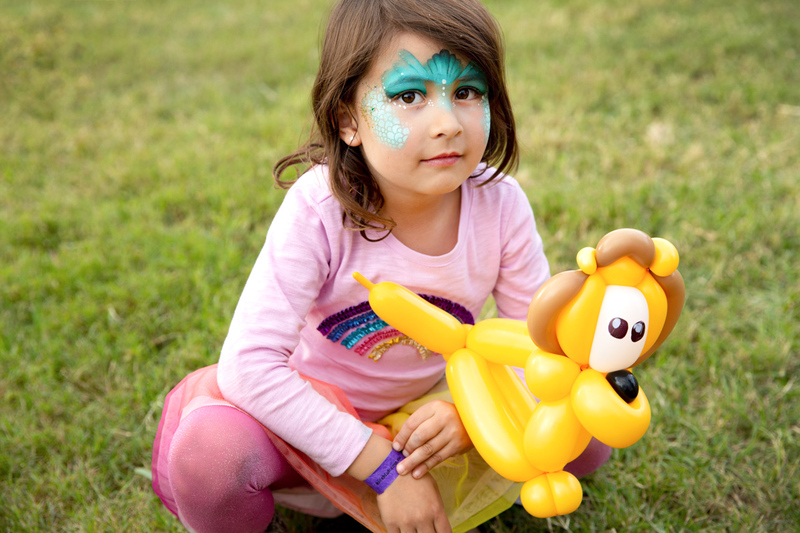 Treat your child to a KidzKlub birthday party. 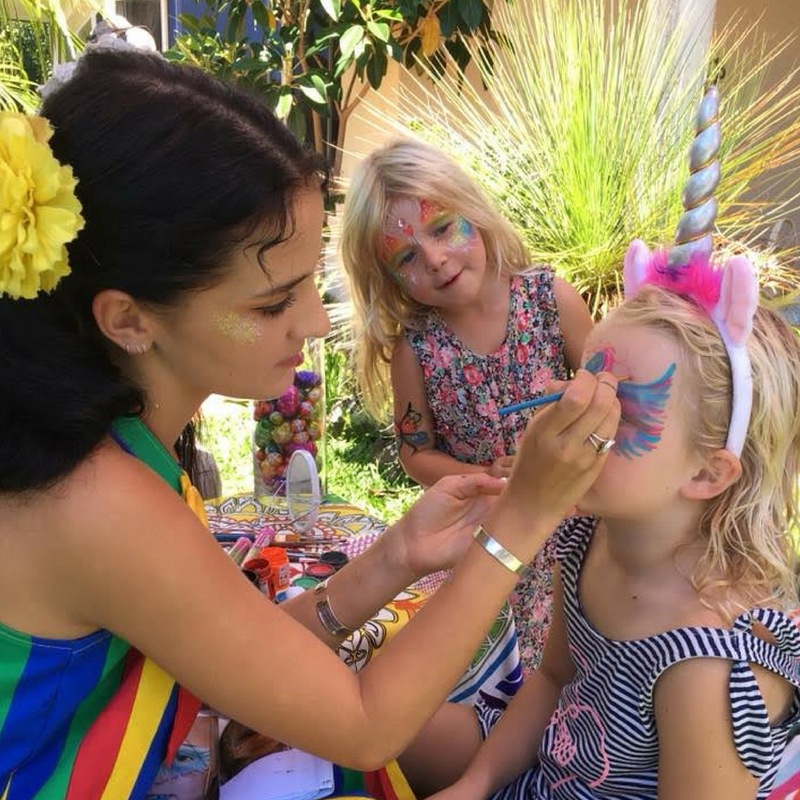 We create the best Children’s Parties in Byron Bay, Ballina, Sydney, Northern Beaches and their surrounding suburbs. We are the complete kid’s party planners.